It's the same with super-earths which range right into the realm of Neptunes or ice giants. Really, the only difference between a big super-earth and a sub-neptune might be how thick it's atmosphere is and other properties that define an ice giant. All super-earth really means is that it's bigger than Earth. It does not necessarily mean that the world is terrestrial, just that it is larger than Earth and smaller than gas giants. But I think that the term will quickly fall out of use as we learn more about these worlds since it is not a useful descriptor. Super-terran might work for the rocky (that is, terrestrial) planets more massive than Earth, or maybe just terran to keep it simple. Eventually we may end up with something that looks like the Star Trek planet classification system or something as detailed as this planetary classification system. The Star Trek scheme (or schemes, as there were multiple) made no sense at all, many of the classifications were vague or overlapping, and often anthropocentric. The link you posted has some better ideas for classification schemes. It - or something like it - might be applicable as a universal classification scheme. But slightly different classifications might be necessary for some objects in planetary systems as it is also necessary to take orbits into account For example, in the Sol system many comets, centaurs, Kuiper belt objects, and scattered disc objects may all have similar compositions and properties, but are placed into different categories due to their having differing orbital characteristics. Yeah, the Star Trek one was just an example I was tossing out there, and it does suffer from being too simple. Besides, the lettering system is kind of used up by the stellar classification system. I actually do like the one that I linked better, far more detailed and covers a variety of possible variants and then some. As we find more planets and learn more about them, the planetary classification system will evolve with the knowledge we gain. Ice giants are supposed to be composed mostly of ices (water, ammonia, methane, etc), i.e. volatiles. 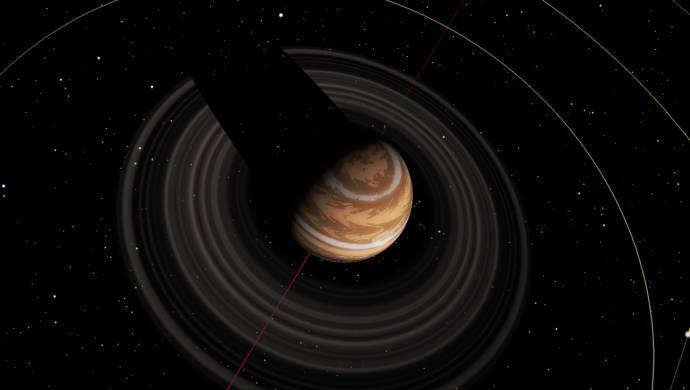 On the other hand, it is possible to find a rocky super-earth planet with a mass of 10 Earth-masses and with an extremely thick atmosphere, even with hydrogen and helium. 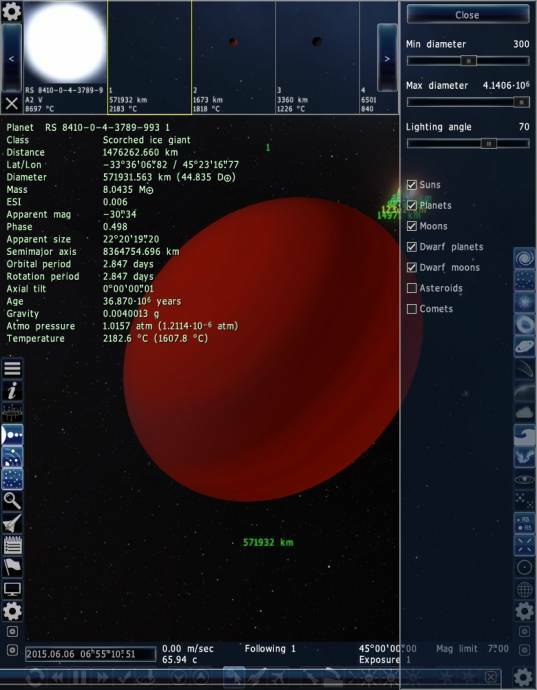 Such a planet should not be named "ice giant". I prefer a class-name "neptune" instead of "ice giant" because of that. Of course, such planets should be pretty rare - it is hard to form such a huge rocky core without accreting a lot of volatiles. That may be the core of evaporated hot giant, a result of collision and merging of a few Venus-like worlds. I don't know if we are doing planetary rings here or not (also an attempt to rerail the thread), but here's one which is slightly bigger and slightly more massive than Jupiter, but has some pretty impressive rings. They go out to about 235k km, beating Saturns main rings by almost 100k km.